Chinese violinist Xiaoxue Sunny She has performed in various events/locations around Europe, North America and Asia, including the Closing Ceremony of Beijing 2008 Olympics Games, China. She was a member of several Chinese delegations visiting abroad and also performed in Germany, US, Singapore, Korea and Taiwan. 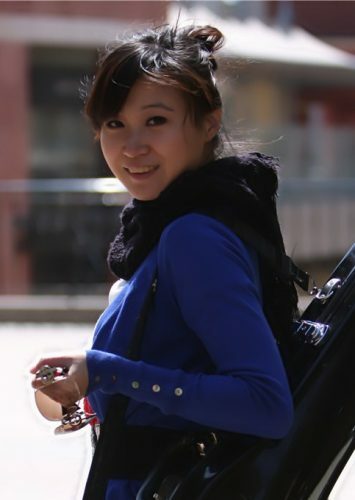 She successfully held 26 String Quartet Special Concerts all over China in 2010-2011. Sunny received awards in both the first Alice & Eleonore Schoenfeld International String Competition in 2013 and the California Association of Professional Music Teachers Competition in 2012. Since moving to Canada, Sunny spent three months working in the National Arts Centre Symphony Orchestra in Ottawa and participated in their very first China Tour in 2013. Sunny holds her Graduate Certificate from University of Southern California, USA, her Master’s degree from the Central Conservatory of Music, China, and Artist Diploma from Vancouver Academy of Music. Her main teachers include Mr. Dale Bartrop, Mr. Suli Xue and Mr. Danan Liang.